From the peaceful countryside of Kokemäki to the old city of Turku, and from the hectic Matka Travel Fair to the welcoming city of San Francisco. California roadtrip time! That's our last two weeks in a nutshell, more below. Welcome to our weekly recap! This one's for January 9th - 22nd, which are the weeks 2 and 3, 2015. What I've learned: Before Matka travel fair, I took a blogger friend of mine, Corinne (Vie Nomade) on a small trip to Finnish country side (aka. my home town Kokemäki). 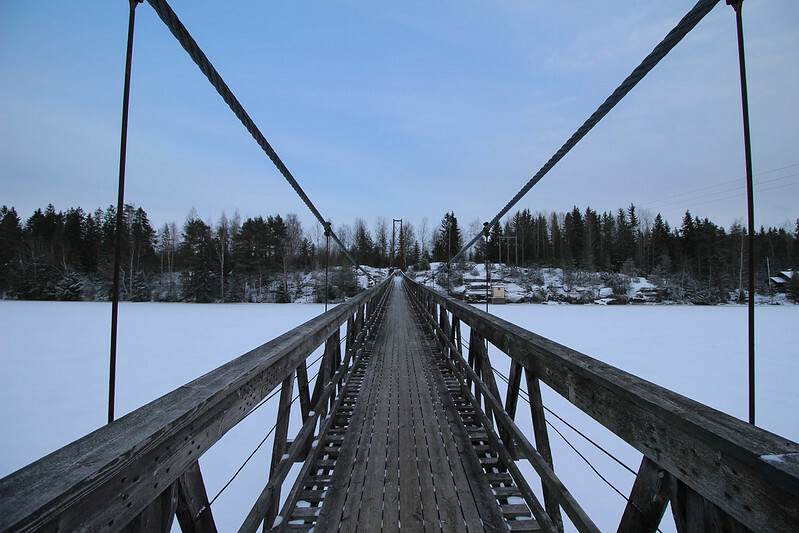 We enjoyed an outdoor hot tub, grilled sausages in a "kota" (traditional hut of the Sami people, bit like a teepee), walked to the frozen river, and visited the suspension bridge I used on my way to elementary school. When trying to tell Corinne about the history and every day life I learnt much myself. Like the story of the building of the Chapel of St. Henry in the 1850s: the bricks were brought in from Turku by horse-drawn sleighs. The first time they didn't bring quite enough and they had to wait all the way to the next winter to have enough snow to get the few missing ones to finish the building. We learnt this and many other stories from an older man, who first towed our car from a slippery ditch and then proceeded to give us a private tour of some of the main sights of Kokemäki. Workwise: My last week in Finland was all about blogging (and friends, no to forget our dear friends!). First I did my small Finland trip to Kokemäki and Turku with Corinne. In Turku we co-operated with Visit Turku and got two TurkuCards which gave us access to many museums and sights. The Turku Castle was magical just before closing time, we were the only ones wandering down the medieval corridors. 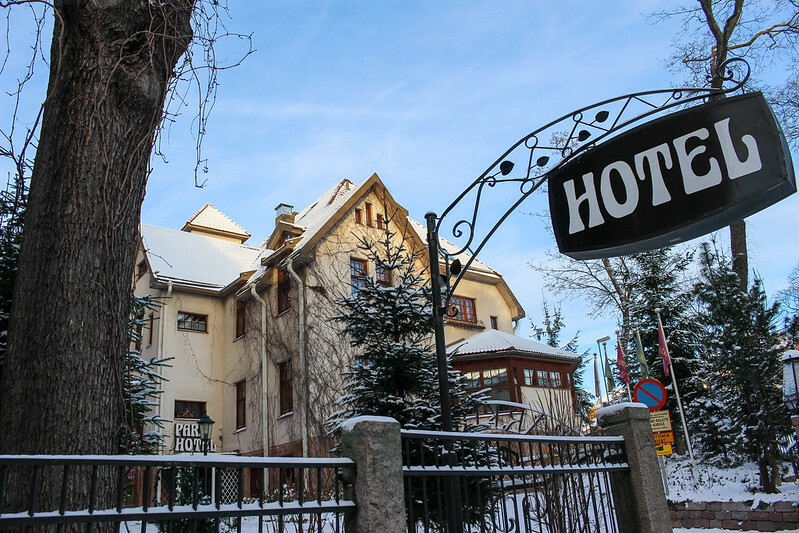 Our other cooperation was with the Park Hotel, a charming art noveau hotel filled with detail and no room the same. We loved it. The owners have a talking parrot, so how could we not? Then it was time for Nordic Bloggers' Experience and Matka Travel Fair. Three days (for me) filled with interesting workshops and talks, good meetings (especially Rauma and Pori on the Western Coast of Finland -- there will be some cool stories coming up next summer), raising my travel fever at the country stands, and most of all, hanging out with fellow bloggers! Great times. Random thought: There was some confusion at the (Stockholm) airport whether my flight ticket to Mexico counts as leaving the US. Because Mexico is "kind of US territory". Interesting. I think the Mexicans might disagree.. Surprise of the week: On our first day in San Francisco we woke up early (hello jetlag!) 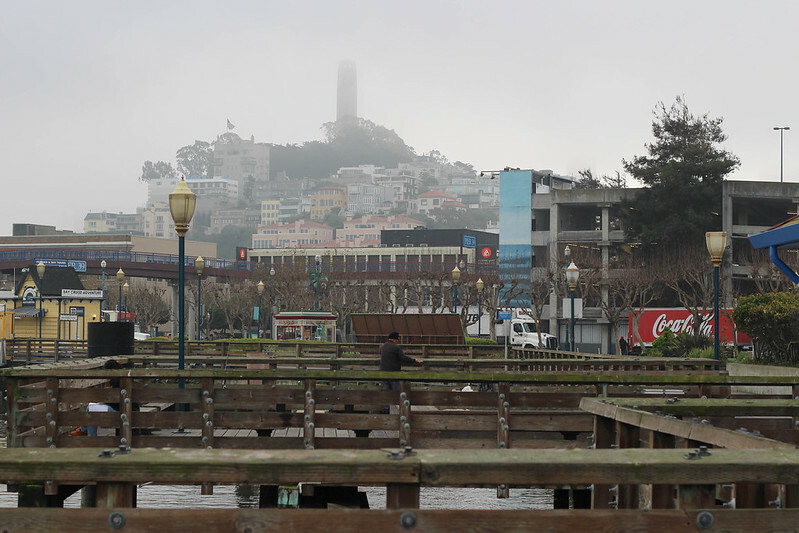 and wandered towards the Fisherman's Wharf (our lovely hotel, San Remo, was nearby). There was hardly anyone around and the whole city was shrouded in fog. So calm, definitely not what I expected. 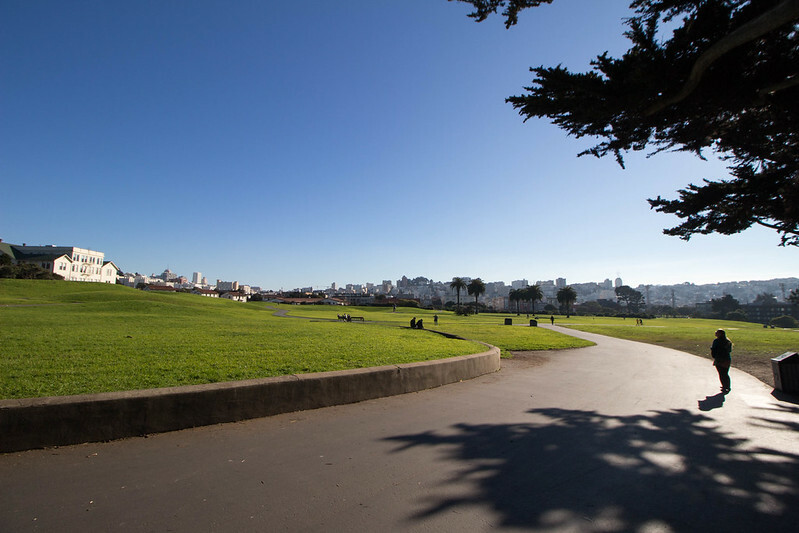 Tip of the week: If you are interested in learning more about the history of San Francisco from locals, check out the SF City Guides tours. There are dozens of them, all run by volunteers (you can tip at the end, the money doesn't go to the guides but for running the small organisation behind the tours). We took part in a 1-hour tour of the Ferry Building (did you know there use to be a 2-store highway right in front of it for decades?) and a "tasting tour" of North Beach. 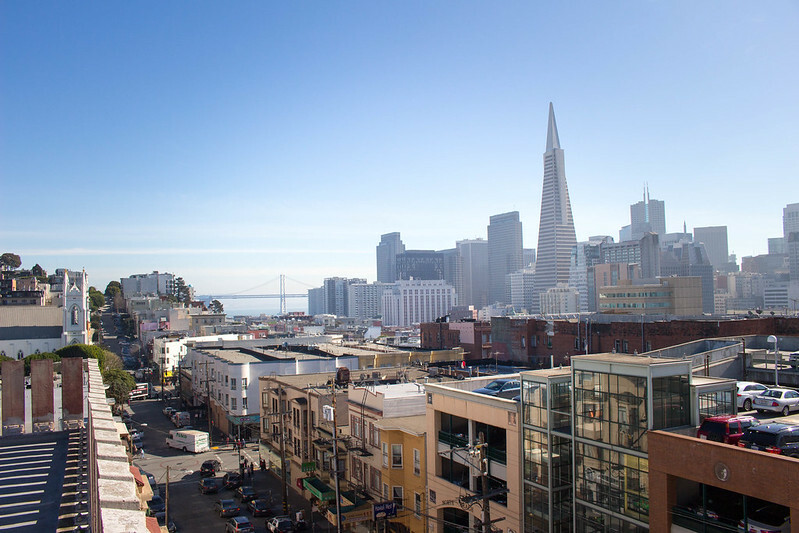 On our North Beach tour the guide took us up to a parking garage roof, and what a view there was! We surely wouldn't have found this lovely spot by ourselves. 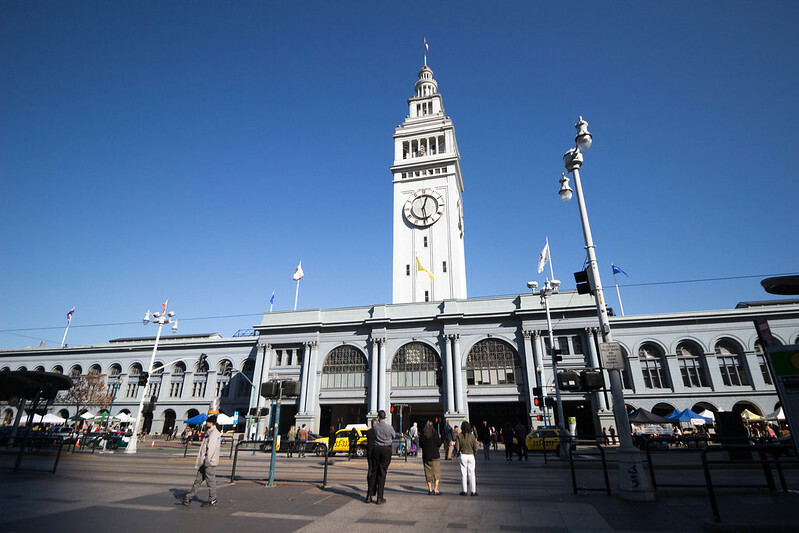 Food love: The Ferry Building seems to be quite a hot spot nowadays. Not only it is beautifully restored, but it houses a plethora of charming small stores, cafés and restaurants. Local, natural, and tasty, so a perfect place for lunch. 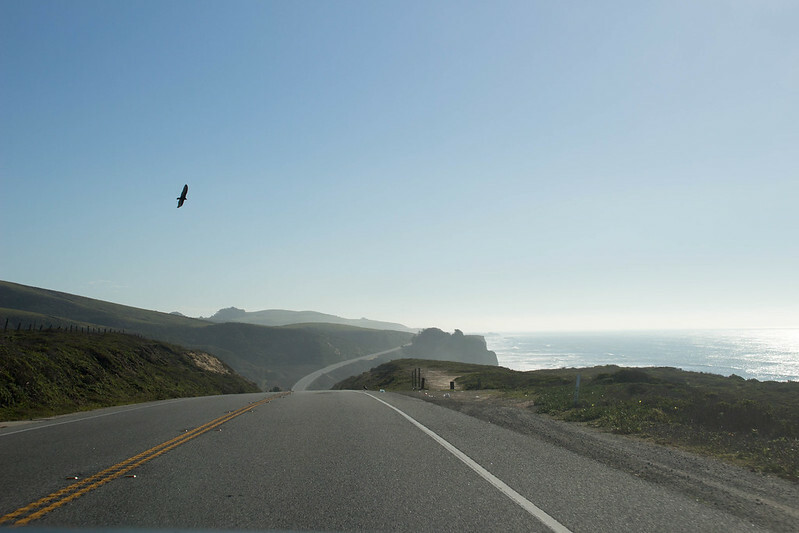 Memorable moment: On Thursday we picked up our car and started our 4-week roadtrip and headed down the coast. We have no strict plans yet, we'll just see what interesting things comes along. On the first day we drove to Stanford University for a quick tour, then crossed the hills (big trees, windy roads, expensive looking ranches) to the Pacific Coast and Higway 1. What views! This is going to be good!